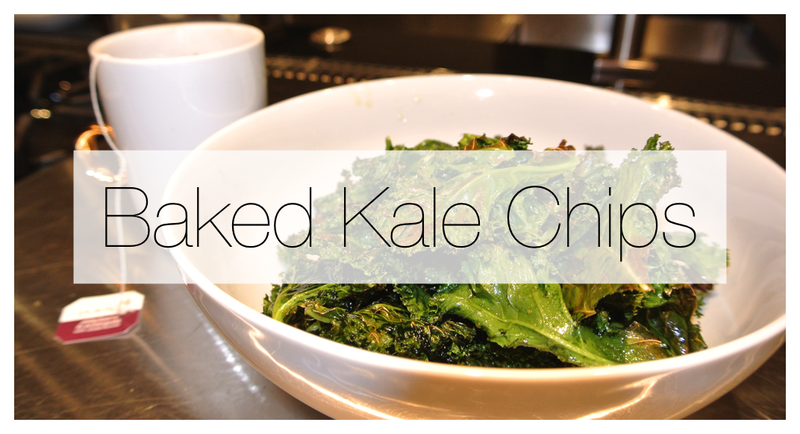 Kale Chips are one of my favorite healthy treats and really easy to make and customize to suit anyone's tastes. 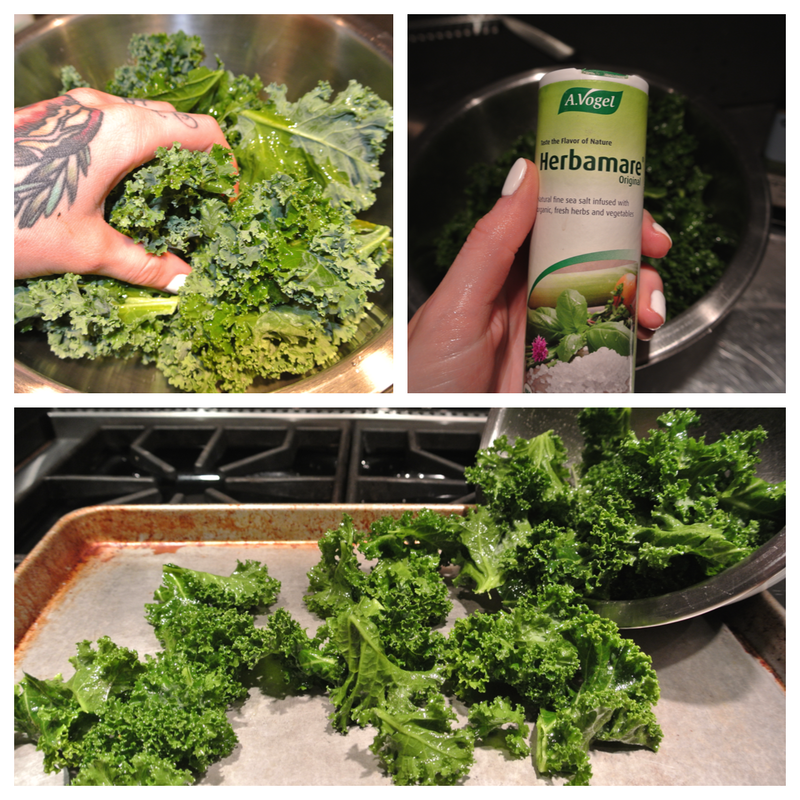 Wash, dry and tear your de-stalked kale into bite sized pieces. 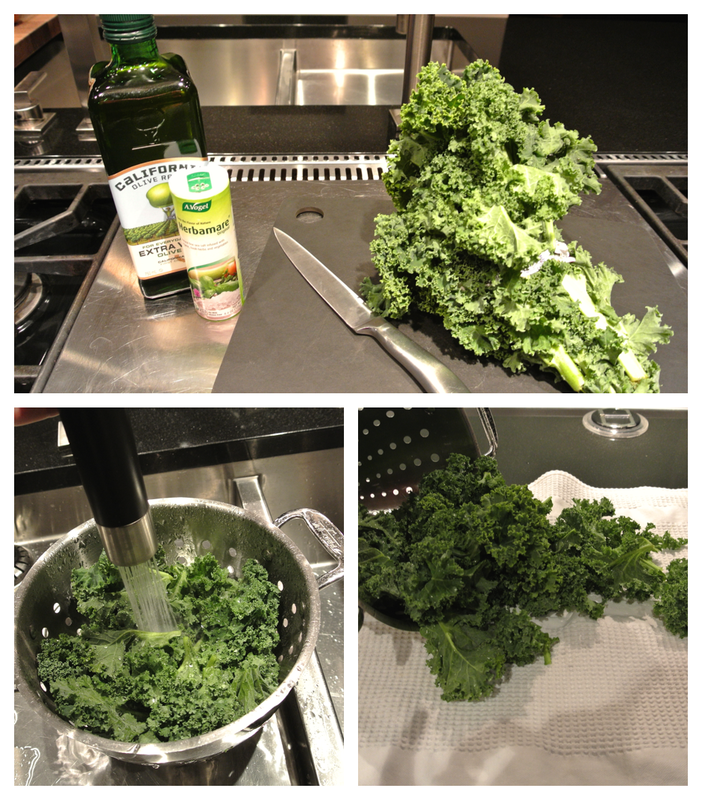 Add kale to a bowl with enough oil to leave the kale lightly coated. I like to use my hands to get it all evenly covered. Add small amounts of your seasoning at a time and mix with your hands in between to avoid over seasoning. Tip seasoned kale onto a baking tray and put in the oven for 10-20 minutes, the type of kale and your oven will alter the timing so just keep an eye on them and remove them when they start to go crispy. I like to flip the oven to broil/grill after about 10 minutes baking just to crisp them up quickly, keep a close eye on them, about 1 minute is all they need. Move the cooked chips into a bowl and enjoy. I prefer mine warm and if you've over oiled them you can put a couple of pieces of paper towel in the bowl to soak up any excess.